As rosters across Major League Baseball are trimmed and clubs soon break camp, FOX Sports turns in a deep lineup of its own, with a mix of newcomers and returning veterans, as game crews and studio personalities for the coming 2015 season are announced today. New to the team are former All-Star slugger Raúl Ibañez, along with play-by-play announcers Joe Davis and Aaron Goldsmith. The announcement was made today by Eric Shanks, President, COO & Executive Producer, FOX Sports, and John Entz, Executive Vice President, Production & Executive Producer, FOX Sports. A veteran of 19 MLB seasons, Ibañez joins the network’s pregame and postgame coverage as a studio analyst and contributes to FOX Sports 1’s studio programming throughout the season, including flagship news programs AMERICA’S PREGAME, FOX SPORTS LIVE and MLB WHIPAROUND. Ibañez appeared in 2,161 games over the course of his career with five different franchises, posting a lifetime .272 batting average and collecting 2,034 hits, 305 home runs and 1,207 runs batted in. In 2009, he represented the Philadelphia Phillies in the All-Star Game and his career-high 34 homers that year helped drive the club to the National League pennant. Additionally, FOX Sports welcomes play-by-play announcers Joe Davis and Aaron Goldsmith, who are entering their first full seasons as members of the FOX MLB coverage team. As one of the youngest and most rapidly ascending stars in the play-by-play field, Davis pivots from calling college football and basketball games for FOX Sports 1 to the diamond, drawing on some of his earliest professional experiences that saw him broadcast baseball games in the independent and minor leagues. The voice of the Double-A Montgomery Biscuits of the Tampa Bay organization for three years, Davis called select FOX Sports 1 MLB telecasts in 2014, but enters this season with a full schedule of games. Goldsmith also calls his first full season of baseball games on FOX Sports this season. Similar to Davis, Goldsmith gained valuable experience calling independent league games early in his career, spending the 2007 season with the Gateway Grizzlies of the Frontier League. In 2013, Goldsmith broke into the big leagues, joining the Seattle Mariners as the play-by-play announcer for the team’s radio broadcasts. Goldsmith has served as a play-by-play announcer for college basketball on FOX Sports 1 and for college football on FOX Sports’ Regional Networks. Entering its 20th consecutive season as MLB’s primary national rights holder, FOX Sports’ sees a deep and versatile team of play-by-play announcers, analysts and studio hosts take the field, primed to continue the tradition of excellence that has long been associated with the network’s award-winning presentation of the nation’s pastime. This year boasts a schedule featuring a combined minimum of 65 games between the FOX broadcast network and FOX Sports 1. The voice of FOX Sports’ baseball coverage since its first broadcast in 1996, seven-time Emmy Award-winning play-by-play announcer Joe Buck is flanked for the second consecutive season by analysts Harold Reynolds and Tom Verducci as the network’s lead broadcast team. The trio is also joined for in-game reporting by Erin Andrews and FOX MLB insider Ken Rosenthal throughout the regular season, All-Star Game and postseason. Returning analysts also include recently-elected Hall of Famer John Smoltz, former Los Angeles Dodgers star Eric Karros and 10-year veteran pitcher CJ Nitkowski. Elected to the National Baseball Hall of Fame in his first year on the ballot in 2015, the eight-time All-Star and Cy Young Award winner Smoltz enters his second season with FOX Sports. Having performed exceptionally in a multitude of roles during his playing career, Smoltz is the only pitcher in MLB history to record both 200 wins and 150 saves and is uniquely qualified to evaluate various aspects of the game from his post in the booth. Smoltz’ regular broadcast partner is veteran play-by-play voice Matt Vasgersian. Continuing a second career that began with FOX Sports in 2007, Karros returns for his ninth season as both a game and studio analyst. A 14-year MLB veteran who played 12 seasons with the Los Angeles Dodgers, he won the 1992 Rookie of the Year Award and his 270 home runs rank third in franchise history. Having pitched professionally on multiple continents and spent 10 seasons in the major leagues, Nitkowski rejoins FOX Sports in 2015 after a strong debut a season ago. A staple in the network’s studio coverage, he also appears in the booth as an analyst during the regular season. FOXSports.com senior MLB writer and insider Jon Paul Morosi contributes both in studio and on remote as a field reporter, teaming with Rosenthal to provide interviews with top players and coaches, in addition to breaking news on injuries and transactions throughout the season. Veteran play-by-play voice Kenny Albert, who has called baseball games for the network since 2001, returns, as does announcer Justin Kutcher. FOX Sports’ Los Angeles studio coverage is anchored by MLB on FOX host Kevin Burkhardt, another rising star within the industry. Burkhardt mans the desk for FOX Sports 1’s pregame and postgame shows during the regular season, Divisional Series and Championship Series, in addition to leading remote coverage from site at the All-Star Game and World Series. The pregame show makes its 2015 debut Saturday, April 11 (12:30 PM ET) on FOX Sports 1. Among the returning contributors joining Burkhardt at the studio desk for pregame and postgame duties are first-ballot Hall of Famer and legendary slugger Frank Thomas, Karros, Nitkowski, 14-year veteran Mark Sweeney, and Ibañez, the latest addition to the FOX Sports MLB lineup. FOX Sports 1’s expanded commitment to baseball throughout the week is once again fronted by MLB WHIPAROUND, the network’s nightly in-progress highlights and analysis studio show that airs Monday through Friday from 7:00 – 8:00 PM ET, throughout the first month of the regular season. Premiering Monday, April 6 (7:00 PM ET) on FOX Sports 1, MLB WHIPAROUND is hosted by a rotation of Burkhardt, FOX Sports studio stalwart Chris Myers, and FOX SPORTS LIVE anchor Ryan Field. The show features live look-ins at games from across the country, courtesy of FOX Sports’ Regional Sports Networks, in addition to recaps and analysis from regulars Nitkowski and Thomas, with appearances from Ibañez, Karros and Sweeney. Morosi also makes frequent studio visits this season, reporting on the latest news and rumors from around the league, including the lead-up to the July trade deadline, when his rolodex of contacts make him a tremendous asset for fans of all teams. 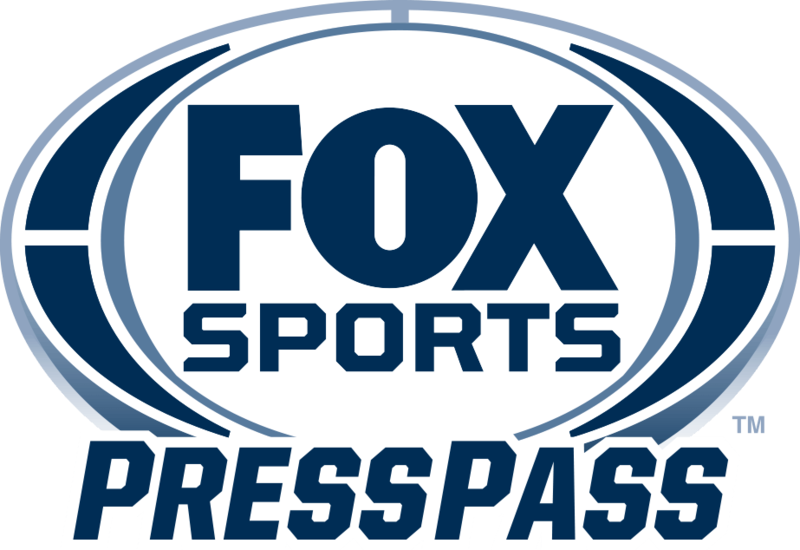 FOX Sports, MLB’s primary broadcast rights holder since 1996 and exclusive national broadcast partner since 2001, enters its second year of a new eight-year, multiplatform media rights agreement that adds national cable and digital coverage to its portfolio. With an emphasis on regular-season exposures that appear mostly on Saturdays, this season features 38 games on FOX Sports 1 and a minimum of 28 games on the FOX broadcast network, including 22 Saturday doubleheaders, 13 exclusively on FOX Sports 1 and nine split between FOX Sports 1 and the FOX broadcast network. For the first time ever, all regular season games, Division Series, League Championship Series, World Series games and the All-Star Game broadcast by FOX Sports are being streamed live via FOX Sports GO through participating video providers. Click here for the MLB on FOX schedule: http://foxs.pt/1ARsGLs. For more information and for news and updates all year long, visit FOXSports.com and follow @MLBonFox on Twitter.